Two African tech start-ups, Momentum Core and Leti Arts, will this year showcase their apps optimized for Intel Architecture at Mobile World Congress 2014 to be held between 24-25 February. Momentum Core will showcase Simiyu the Chicken gaming app while Leti Arts will showcase their Leti Centre. Both apps were developed with support from Intel’s Software Services Group in Africa which has been training developers in the last 6 months, enabling them to create and port Android apps for Intel Android devices. Urging developers across Africa to take advantage of the free resources and training support offered by Intel Corporation in Africa, Agatha Gikunda, Software Services Lead for East Africa called upon developers to register on Intel Developer Zone a collaborative online platform and software development community designed to support and respond to challenges faced by software developers. “By registering on the Intel developer Zone, developers are able to get firsthand information on the trainings, programs or resources that the company is offering as well as engage with more than 20,000 independent software vendors (ISV) worldwide that are registered on the platform. Momentum Core and Leti Arts are a testament to Intel’s commitment to invest in African developers. We are still looking for more tech start-ups to support.” – Agatha Gikunda. 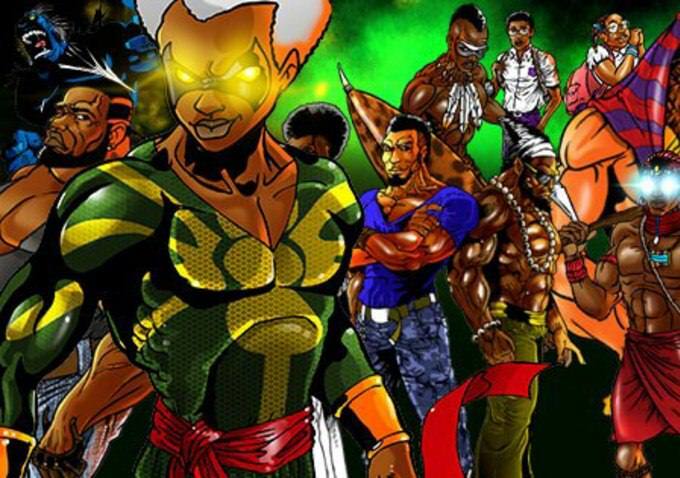 The Leti Centre app consists of a superhero series influenced by folklore and historic legends from across Africa. Leti Arts the company behind the app reimagines African folklore and historic legends, interspersed with fictional characters, as elite superheroes fighting crime in present day Africa. The series follows the exploits of characters such as West African trickster god, Kweku Ananse, Shaka Zulu, Pharaoh, Wuzu the Maasai Warrior and Shizo an ex-cop turned vigilante against corruption. It also follows the plots and schemes of master villains such as The Pirate and The Wodaabe Assassin. “Our goal of merging the past with the present in an exciting and compelling format is to encourage younger generations to be genuinely excited about African history and culture. The more relevant we make history and culture in education, the better the long term prospects for preserving culture and heritage. We are proud to deliver this on cutting edge technology, both hardware and software, from Intel,” said Wesley Kirinya, Corporate Technology Officer, Leti Arts. Simiyu the Chicken is a thrilling action packed game that was recently showcased at Intel’s CodeFest, a hands-on workshop, with technical experts from Intel showing how to create an NDK app. They also presented the game at the NASA Space Apps challenge* where it ranked as 1st runners up. “We had earlier designed Simiyu the Chicken as a pure Dalvik Java game but when we started working with Intel, we discovered various features of the Intel NDK that enabled us to re-use the logic and improve overall performance-critical parts of our game,” says Dennis Riungu, the Chief Operation Officer Momentum Core. One of the tools that Momentum Core has been using is Intel’s GPU Analyzer tool which helps them analyze how 2D images can be optimized for a seamless game and test their performance. Through this, the company has been able to identify and monitor several parts of the game that require more modification. Next articleWhat Options Does WhatsApp Have Looking Ahead? Does Gaming Help in Productivity?